The gorgeous Antonyme‘s track ‘La fin de tout’ has been featured on the new Le café abstrait, curated by Raphaël Marionneau. 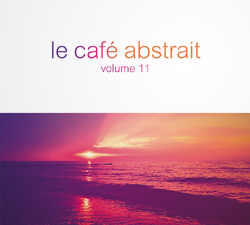 Volume 11 in the Le café abstrait series is available digitally via iTunes and in digital and CD formats via Amazon. ‘La fin de tout’ is originally lifted from Antonymes’ debut album, Beauty Becomes The Enemy Of The Future. Be sure to check it out along with the rest of Antonymes’s amazing catalogue of works. All works are also available for licensing (film, tv, games, compilation) so please do contact us if you have any projects you’d like to talk to us about.